At the end of the last regular season game, I asked the ref and the other coach to bend the rules to give two of our girls a chance to score this season. Last night, my daughter's CYO team played their last regular season game. The game was meaningless in the sense that the outcome would not change the team's seeding in the big end of season tournament for the Cincinnati City Championship. It was a game that they should've won, but didn't. Winning was not the goal last night. Get the players, who played limited minutes in the finals of the last tournament (our last game), lots of playing time. These players will likely see limited action in the end of year city championship tournament that starts next week. Get players some experience in positions they do not usually play. Get the two players who have not yet scored this season some points. The game plan was to limit the team's three star players to 1 quarter of playing time each. With the experienced players on the bench, the game turned into a blowout, but the less experienced girls were having fun and gaining valuable experience. Midway through the last quarter, we realized that Goal Two was conflicting with Goal Three because the inexperienced point guards were not able to get the ball in the hands of the two girls who have not yet scored. 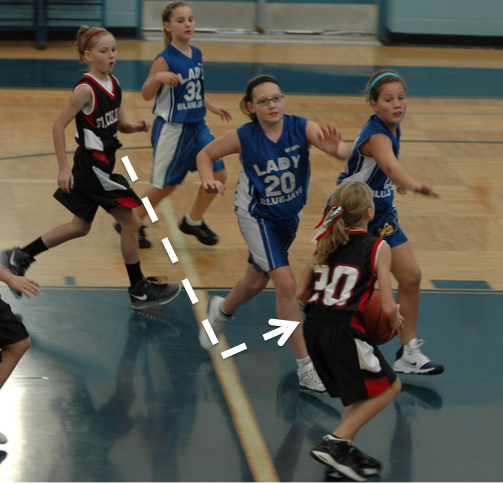 We decided to put my daughter, CC, in the game to penetrate into the lane and dish the ball to the two players who have not yet scored. CC was happy to do it. CC did a great job distributing the ball, but shot after shot missed the mark. On one drive in the paint, CC was fouled. It was the 7th foul of the half and she was awarded a 1 and 1. We asked the ref if we could have another player shoot the shots. The ref looked at us strangely and said, "no." 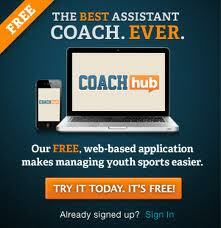 I asked the ref if we could ask the other coach for permission. The ref gave us a minute to inquire. Our team was losing by 12 or more, so the opposing coach, who realized what we were doing, was happy to oblige. So one of the girls who had not yet scored this season approached the line and shot two soft shots. Unfortunately both bounced off the rim. CC triple teamed delivers a perfect bounce pass. My daughter kept working her magic and distributing the ball to no avail. Then with 5 second left on the clock, my daughter got a rebound, darted up the court and launched a half court shot. The shot did not reach its target because my daughter was fouled hard. CC was awarded foul shots. Again, I went to the ref and asked if another player could take the shots. He allowed it. The floor was cleared of all players because time had expired while my daughter was getting knocked to the floor. The other player who had not scored all season approached the line and put up a shot. The ball hit the back of the rim, then the front of the rim and then went through the hoop. A smile emerged from her face and the knowing crowd erupted with a thunderous roar. I hate losing. It was tough to sit there and watch us lose a game we should have won. At the end of the game, however, I realized we kind of won. We met our goals (well almost). And that felt better than winning. The Colts are 1st in the AFC Southern at 5-0 just like the Patriots. I think the Colts look sluggish than the Patriots and nfl super bowl 2017 look type them to reduce a activity before the Patriots.